The democratic function of a periodic constitutional convention is to propose solutions to problems that Rhode Island’s General Assembly won’t address because it is the problem. The American system of government is based on the separation of powers among various government agents. These agents include the legislative, executive, and judicial branches of government; and local, state, and national governments. In this system, American state legislatures are not entrusted with exclusive power over constitutional reform. The sovereign (popularly known as “the people”) are provided with some way to ratify legislatively initiated constitutional amendments. They also retain an inalienable right to change their constitution in the face of a recalcitrant legislature. But what that right of reform means has generally been left vague. In early state constitutions, it often implied the violent overthrow of the government, as was done in the U.S. Revolutionary War at the late 18th Century and Rhode Island’s Dorr Rebellion in the early 1840s. The democratic function of a periodic constitutional convention referendum is to implement this inalienable right in a peaceful way. Specifically, it is a check on the “gatekeeping power” of a state legislature over constitutional reform. When a state legislature controls what constitutional reforms the public is allowed to vote on, it has gatekeeping power over constitutional reform. This is inconsistent with the fundamental principle of constitutional democracy that the citizenry should have the right to reform their state constitution when they so choose. The role of the periodic constitutional convention as a check on the legislature makes it an inherently unpopular institution with legislatures. In early 18th century American colonies, provincial governors had similar gatekeeping power over most colonial legislatures. A governor could convene a legislature whenever he wanted and prevent its convening when he thought it might act adverse to his interests. The resulting abuses led to the widespread demand for periodic legislatures, an essential democratic right all Americans today take for granted but that wasn’t guaranteed until after the American Revolutionary War. Partly in response to Rhode Island’s Dorr Rebellion in the early 1840s, states such as New York (1846), Michigan (1850), Maryland (1851), Ohio (1851), and Iowa (1857) added periodic constitutional convention referendums to their constitutions. Having learned from Rhode Island’s experience with violent constitutional change in response to a recalcitrant legislature, they wanted to develop a peaceful means to achieve the same end. By the end of the 19th century, six states had such provisions. By the end of the 20th, fourteen had them, including Rhode Island as of 1973. Most of the 20th century provisions were created in the wake of a series of U.S. Supreme Court decisions in the early 1960s, which forced many states, including Rhode Island, to reapportion their legislatures based on the principle of one-person, one-vote. The Court decisions led to a wave of constitutional conventions. Constitutional conventions vary in democratic function and type, so it is important to distinguish between the periodic constitutional convention referendum and other types of constitutional convention. The legislatively initiated and controlled “limited” constitutional convention” is diametrically opposed to the periodic constitutional convention referendum because it preserves 100% of the legislature’s gatekeeping powers over constitutional reform. The “limited” constitutional convention was especially popular in Rhode Island through the middle 20th century. A better terminology to distinguish a “limited” from an “unlimited” constitutional convention would be a “dependent” versus an “independent” constitutional convention. In a dependent constitutional convention, the legislature has formal control over the agenda, whereas it has no such control in an independent constitutional convention. There is wide variance in the quality of constitutionally mandated periodic constitutional convention referendums. Those drafted during the 19th century tend to be under specified, leaving too much room for legislatures to manipulate them. Those drafted or reformed in the latter half of the 20th century mitigate some notable flaws in the early provisions. 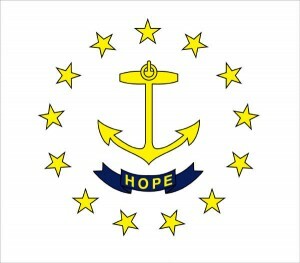 For example, Rhode Island’s provision creates a safety valve to ensure that the mandated periodic referendum actually gets placed on the ballot. If the General Assembly refuses to do so, the Secretary of State is tasked with doing so. This lessens the risk that, as in Oklahoma since 1970, the legislature will simply refuse to place the constitutionally mandated referendum on the ballot. Still, there is great room for improving the periodic constitutional convention referendum. Too often, as with the U.S. constitutional convention of 1787 that drafted Article V’s extraordinarily ambiguous constitutional convention provision, both citizens and framers treat constitutional convention provisions as an afterthought. It is critical that provisions be included to ensure the constitutional convention’s independence and democratic legitimacy. To the extent that such provisions are missing, a periodic constitutional convention referendum loses its democratic function. For additional information on the periodic state constitutional convention referendum, see the FAQ on this website and The State Constitutional Convention Clearinghouse. In a multistage collective-choice process, an early-acting individual or group of individuals is said to possess a gatekeeping right if the governing procedures of the body allow the individual or group not to act on specific proposals, and if the certain consequence of such inaction is that an exogenously determined status quo policy remains in effect…. In contrast, a body or group is said to have gatekeeping power if it has a gatekeeping right and the right produces an outcome that the gatekeeper prefers to the outcome that would have resulted if it did not have a gatekeeping right.